If I am divorced or separated can I file the I-751 and remove conditions on my two year green card? If you obtained your green card through marriage and you were married for less than two years at that time, then you will have to remove the conditions on your green card after two years and apply for the 10 year green card. 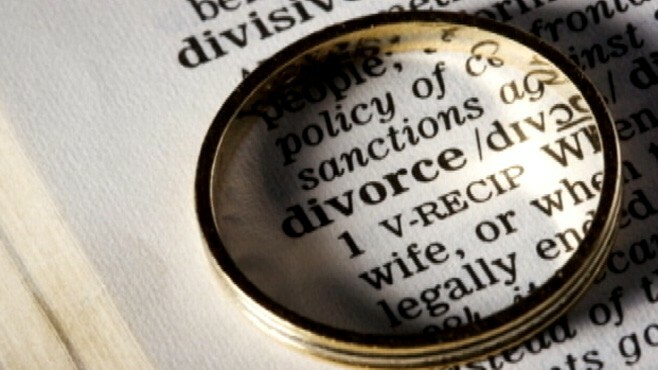 If there are problems or have been problems in your marriage and you are either considering divorce or separation or are already separated or divorced then you probably reached this page because you want advice on how to proceed with removing those conditions. What is the law? The law states that if you have a conditional residency for two years, then you will have to file to remove the conditions within 90 days of the expiration of the two year period. The conditional green card holder will have to file a petition with USCIS (I-751). You file the I-751 with supporting documentation and if it is approved then the conditions are removed and you receive the 10-year green card. What if I am thinking about divorcing or am separated from my spouse? If your marriage is falling apart and you are thinking about or are already divorced or separated, then you will have additional hurdles. Separation and divorce make the process more burdensome, but not impossible. It is best to work with a lawyer in this scenario, because a denial of your I-751 can trigger removal proceedings. Alien and spouse fail to petition USCIS within 90-day period before the second anniversary of conditional residence, or alien and spouse fail to jointly appear at USCIS interview (unless good cause is shown), unless the alien has filed Form I-751 seeking a waiver of the joint filing requirement. How do I file a waiver? In this article we are going to focus on filing Form I-751 requesting a waiver of the joint filing requirement. I-751s can be successful when individuals are divorced at the time of filing. USCIS understands that marriages end (just look at the high average rate of US divorce statistics), but it is up to you to show that your marriage was real at the time that it was entered into. According to immigration law, a waiver of the joint filing requirement can be granted if the alien establishes that “the qualifying marriage was entered into in good faith by the alien spouse, but the qualifying marriage has been terminated.…” We show good faith by including evidence of joint ownership of property or leases, joint financial accounts, birth certificates of children of the marriage, affidavits from people who can speak to the good faith marriage and other important documentation. What if I am separated or getting divorced but do not have the divorce judgment at the time of filing the I-751? If that is the case, you can still file a joint petition to remove the conditions on residency. You would need to notify USCIS that you and your spouse are currently separated or are currently in divorce proceedings. If you receive your divorce decree by the time of the interview, then you would update USCIS at that time letting them know that you are now divorced and providing them with a copy of the divorce decree and evidence that the marriage was entered into in good faith. What if my spouse will not sign the joint petition? If you and your spouse are no longer on good terms, then it might be difficult to jointly file the I-751 when you are separated/divorcing. This is a more difficult scenario. You cannot request a waiver, and you will have to wait until the divorce is final to file the I-751 unless abuse from your spouse is your basis for filing. The fact that you cannot yet file the I-751 while you are waiting for the divorce and your spouse is unable to sign may mean that you can be placed in removal proceedings once your two year conditional residency period is over. In this case, you can have your immigration lawyer file for something called a continuance asking the judge for time to allow the divorce to finalize. This is another good reason to give our office a call if you need assistance. I filed with my spouse originally when things were good but now we are separated, what should I do? Another take on this is if you filed the I-751 when you were on good terms with your spouse, but things have gone downhill while you are waiting for your interview appointment. If this is your situation, you will need to notify USCIS that you are separated and then notify them again once your divorce is final. Will my green card expire while I wait for the I-751 to be approved? If you fit into any of these scenarios and are worried that your green card will expire before you have the judgment and USCIS decides on your case, then don’t worry. USCIS automatically extends your green card and permanent residency status while they are deciding on the petition. So, if you have filed an I-751 you will remain in conditional resident status until they make a decision on your I-751. Divorce and separation create anxiety for any married couple without the addition of additional stress from dealing with immigration problems that it causes. Hopefully these tips can help you to have a successful outcome with your petition to remove conditions.